The January 2018 issue of the American Psychological Association's newsletter dedicated to the 40 Section of Clinical Neuropsychology features an interview with Prof. Bernice Marcopulos (James Madison University, Virginia University) and with Prof. Emilia Łojek (Chair of Neuropsychology, Department of Psychology, University of Warsaw). The interview focused on the evaluation of neuropsychological assessment tools available now around the world - are they modern enough and suited to diagnostician's needs? 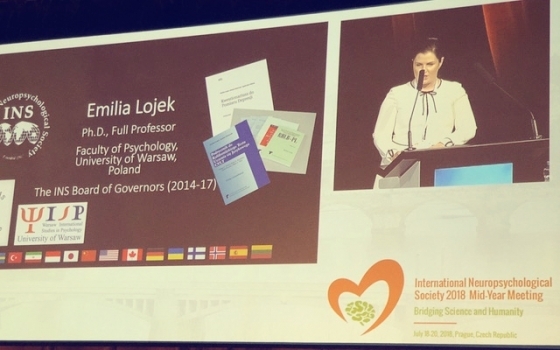 The beginning of the discussion was Prof. Łojek's speech at the Conference of the European Tests Publishers Group (of which the Laboratory has been a member for many years) devoted to the recent trends in brain research and possible applications of neuroscience for psychological testing. Did a dynamic development of neuropsychological knowledge and technology which took place in the 21st century find a reflection in the available clinical tools? We invite to read the interview. We are glad we could contribute in a modest way to this interesting discussion at its very beginning. 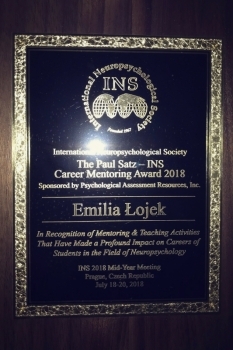 This a good occasion to congratulate Prof. Łojek on her having received the Paul Satz Mentoring Award given by the International Neuropsychological Society to persons who specifically contribute to the development of students' and academics' knowledge and skills in the area of neuropsychology. 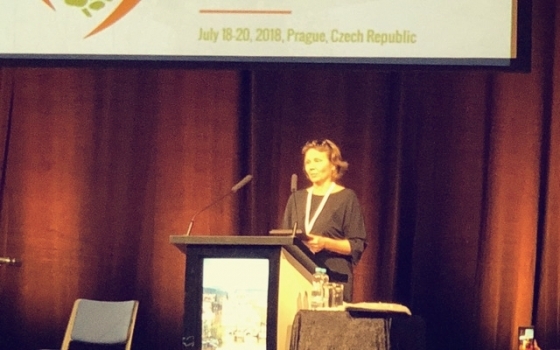 The award-giving celebration took place in July 2018 during the INS congress in Prague. The award is sponsored by the Psychologica Assessment Resources, Inc.
Prof. Łojek has co-operated with the Laboratory for many years. She is the author and co-author of several clinical methods published by the Laboratory and including the Depression Assessment Questionnaire KPD, Colour Trails Test for Adults CTT and the Polish adaptation of the Right Hemisphere Language Battery RHLB-PL. We congratulate once again! We are honored to collaborate with such a distinguished specialist.